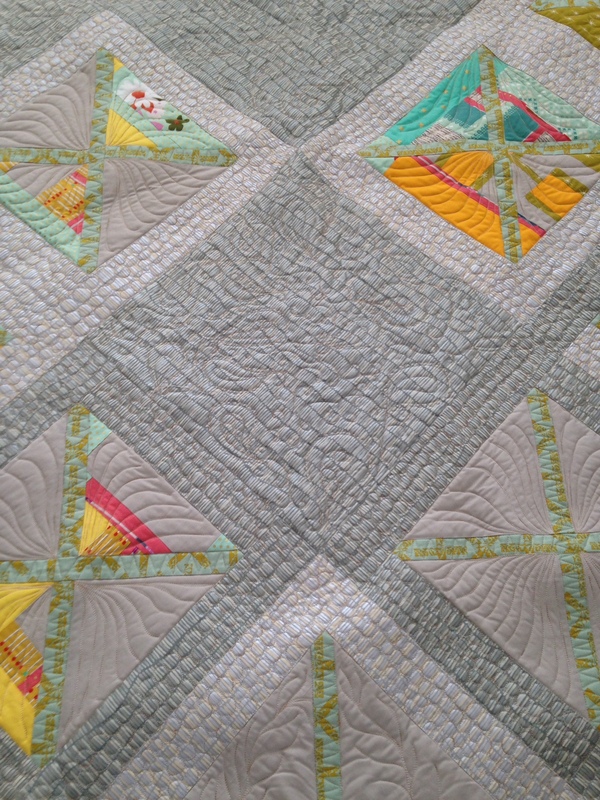 Wow the quilting turned out awesome and I really love the look of the quilt as well. It feels very zen. 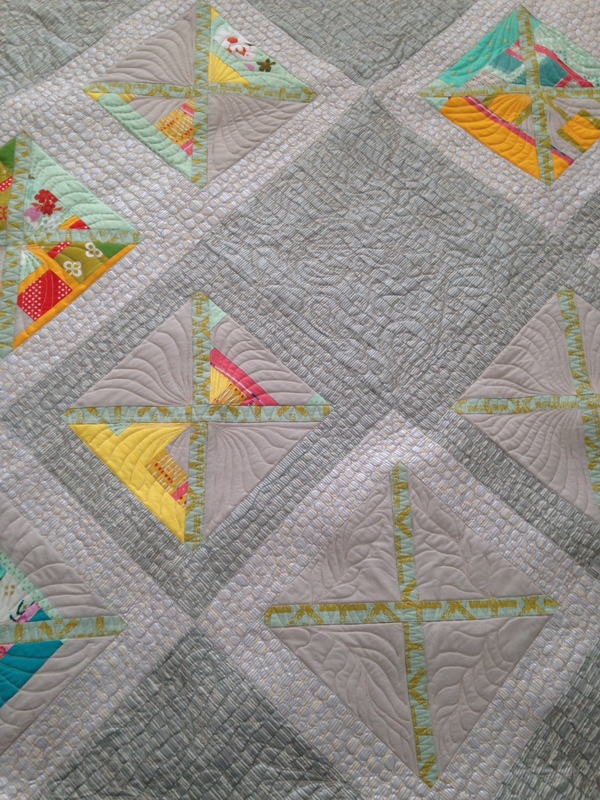 Gorgeous quilt, Pam and thanks for the snow pics – love them (even if you’re sick if it!!). 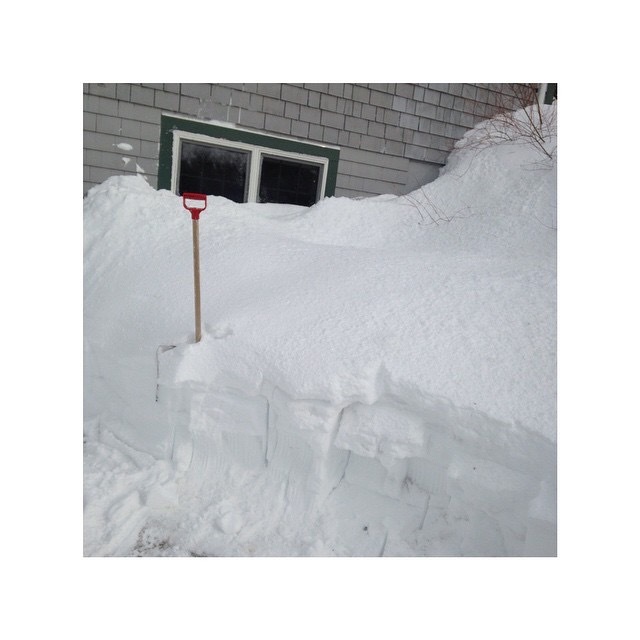 Thank you ,had a little more snow today, going for a record! Lovely to receive you post. 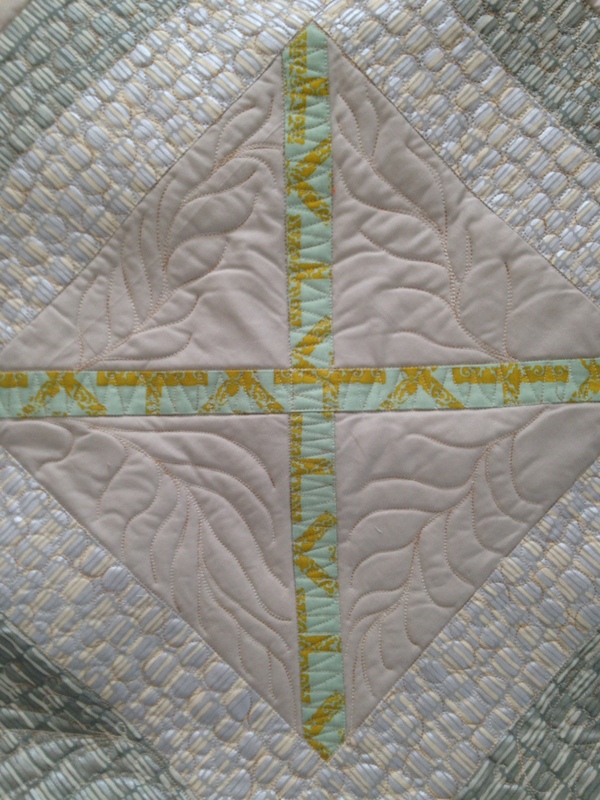 What beautiful, intricate quilting! It really is a work of art. 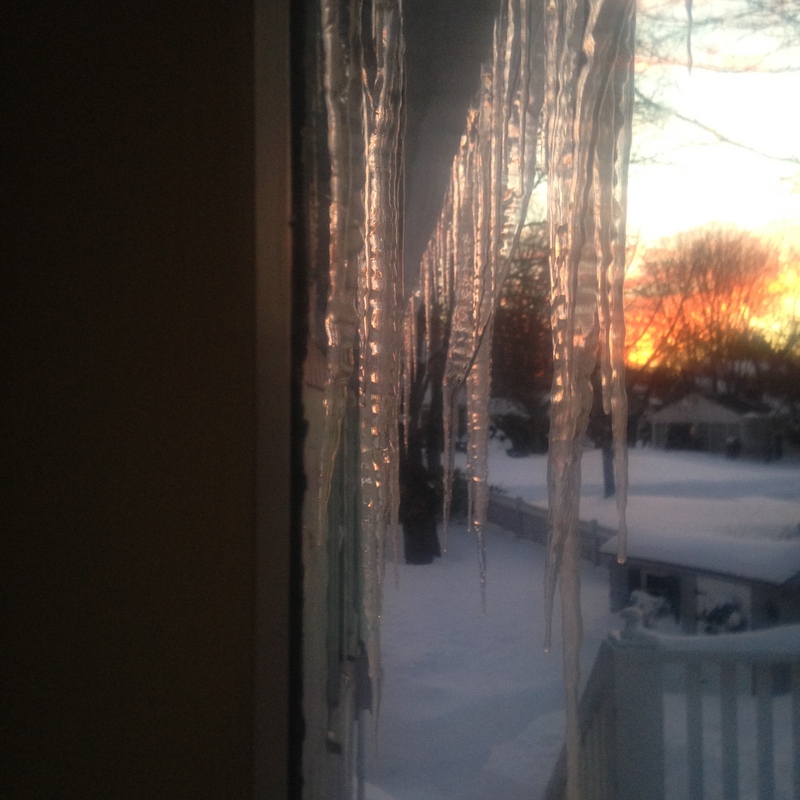 And the snow pics are amazing. I hope this doesn’t make you too jealous but Spring is beginning to Spring in the south of England – snowdrops are everywhere and other bulbs are showing their leaves despite a chilly wind. Hopefully you’ll soon see signs of new life and the end of the white stuff! It was nice to hear of the beginnings of Spring! I have hope! I find it hard to imagine living with that much snow! I have been complaining about about hot, humid nights! I feel so much better in the heat, I can’t wait for heat and humidity!Hoping our snow is at its’ end! Oh my goodness! 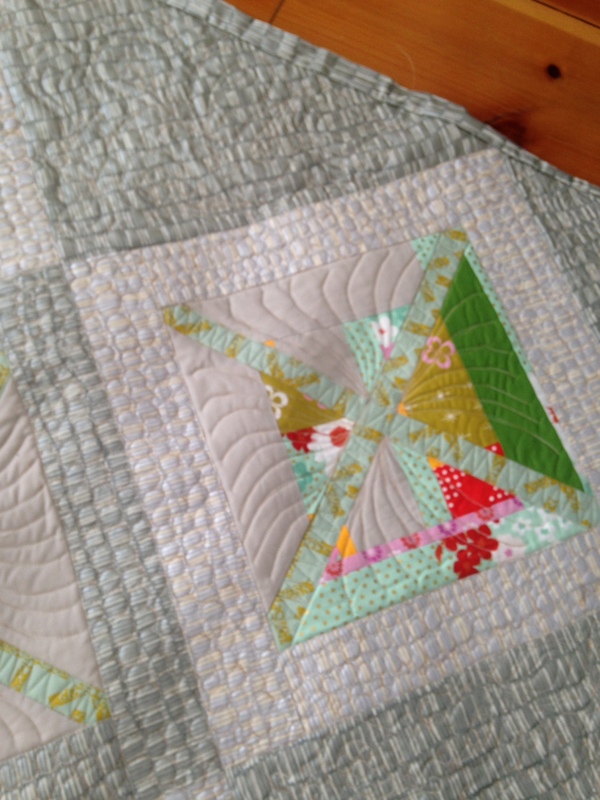 What a beautiful job of quilting! It looks amazing. It makes me want a longarm right now! But, honestly they scare me. I don’t know if I could do it. I think I just want to send all of quilts to you to do:) Excellent work!! Thank you! Long arming can be very fun and addictive! I love to long arm but at times go through spells when that’s all I do, then times of designing and piecing. If you enjoy doodling , it’s similar to free motion long arm quilting! My machine does free motion, but the space is limited. I might go to my local quilt shop and test drive the real thing! Hi Julianne, Good to test drive and see if you enjoy quilting with such a large machine!It does take up lots of space in your studio! Really love the colors in the quilt. The varying greys are fantastic.